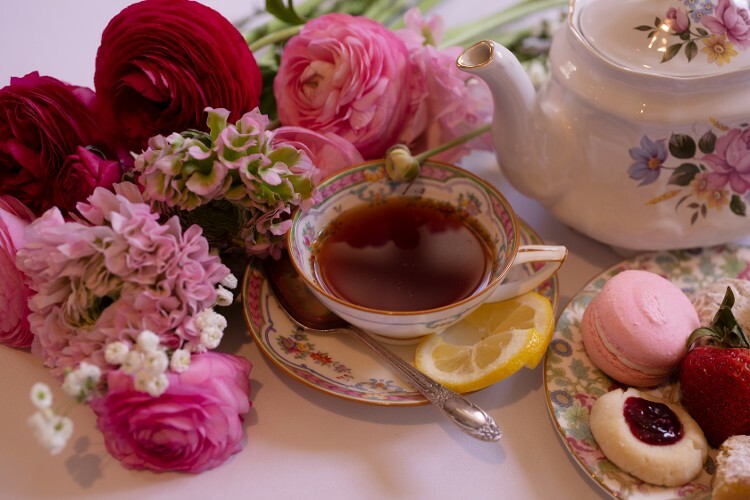 Please join us for our annual Mother's Day Tea on Saturday, May 11 at 11:30 am. For reservations please call Janie at (209) 522-1739. The Mansion will be open from 10:30 am to 1:30 pm for viewing. 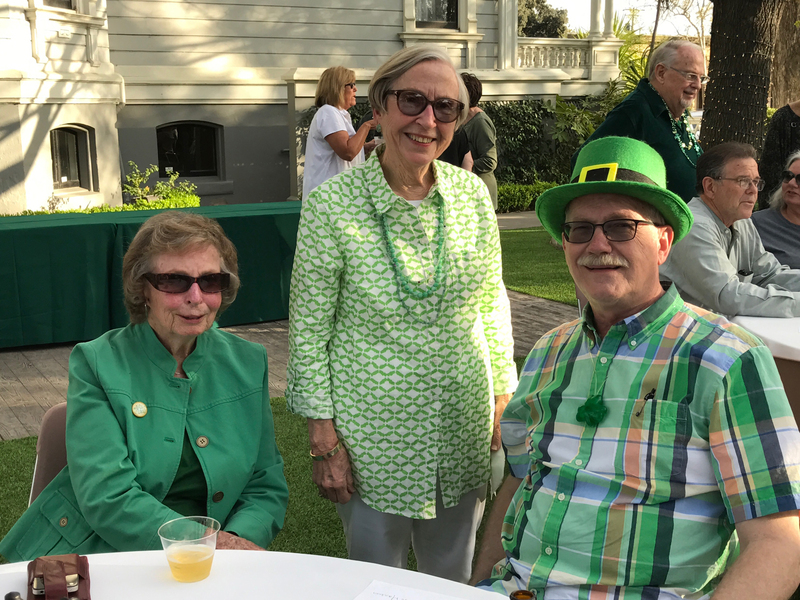 Join us for our annual St.Patrick's Day celebration. Celebrate Independence Day by coming to the McHenry Mansion. On July 4th every year, we commemorate the occasion with fun for the entire family. 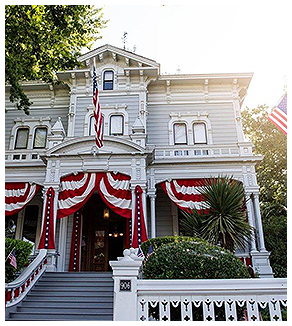 The Mansion is decked out in patriotic red, white, and blue bunting and flags in honor of this national holiday. When you attend, you can visit the house, which is open before the parade starts. The McHenry Mansion Dickens Faire has been held for over 10 years. Starting off the holiday season on the first Saturday in December, this memorable community event offers tours of the Mansion sumptuously decorated in all of its holiday finery. Free children's activities take place at the McHenry Museum during this time, which is just down the street from the Mansion. The entire street in front of the house is closed to traffic for the day and vendors set up booths featuring a unique and interesting assortment of Christmas items, jewelry, food, crafts, and other offerings for sale. It's a great place to do some early holiday shopping. Strolling carolers, Christmas choruses, bagpipers, harpists, and other musical ensembles also provide entertainment. Father Christmas is also in attendance, complete with a large bag of candy canes! Carriage rides, which are a popular reminder of a by-gone era, are available for a nominal fee. Dickens Faire is sure to provide a full day of fun for the entire family. Plan to join us! See our historic home in all of its Christmas glory by going on one of our December Candlelight Tours. 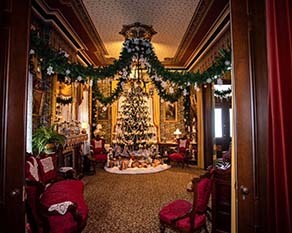 Each room features vignetts of festive Victorian activities such as playing parlor games, stringing popcorn, taking tea and decorating a gingerbread house. We welcome you to tour the McHenry Mansion on one of the two evenings during the Christmas season. There is a nominal fee charged for entrance that includes dessert and beverages. This is a great way to share a Victorian holiday tradition with family and friends! Tickets may be purchased at the Visitors Center/Gift Store. No reservations necessary.